Home » Uncategorized » Want to know more about the QDRO process/procedures at Ruegg & Ruegg? Want to know more about the QDRO process/procedures at Ruegg & Ruegg? A statement for each plan being divided as of Date of Marriage; Date of Separation; and current. If your matter has a separate property claim, a trace will be initiated and completed. There is an additional fee which will have to be discussed with the QDRO Attorney as not all traces cost the same. If the Plan name on the QDRO differs from the Plan name written in your Judgment the court may require that we prepare a Stipulation to Modify Judgment to correct the name difference. If there are any Family Law Attorneys still on the case they must sign this document in addition to all parties. The Court will not process your QDRO without this document. There is an additional fee of $150.00 if this is required. Please note: If we require additional information and/or documents a request will be made at this time and your file will be on hold until the information/documents are received. Once we have everything we need to complete the draft QDRO we will move your file on to the next step. Please note: You are responsible for collecting and producing any necessary documents to complete any Separate Property Trace and/or QDRO. The QDRO Attorney will not conduct Discovery for you. Preparing, filing and serving a Joinder (not required in all matters). The fee for Joinders is $150.00 or you can use our Joinder Generator on our website for free. Please note: Once you receive the draft QDRO if you have questions regarding the language you may set an appointment to go over the draft with Attorney Ruegg. Please note: If either party and/or their Attorney of record requests changes and they are reasonable and appropriate, the QDRO will be re-drafted and the process will begin again. The same goes for any changes requested from the Plan Administrator. 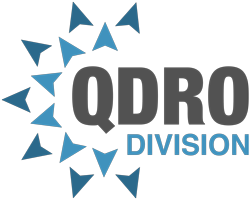 If either party demands unnecessary changes (the QDRO Attorney will communicate whether the changes are necessary or unnecessary) there will be a re-draft fee at the QDRO Attorney’s hourly rate. We will send out 4 letters to the non-cooperative party. Once the final letter has gone out we will prepare a Notice of Submission in your name to ask the court to sign on the non-cooperative party’s behalf. This usually results in one of two things happening 1) the Judge will sign and process the QDRO or 2) the Court will set a hearing date of which you must attend and the court will either process the QDRO at the hearing or explain to you why they are not going to and what you must do to process the QDRO. Following the hearing you must provide us with either the processed, certified-stamped QDRO and/or the information the Judge provided you if they will not process it so we can try to finalize your QDRO. The fee for the Notice of Submission preparation is $350.00. We will send out 4 letters to the non-cooperative party. Once the final letter has gone out we will prepare a Request for Order in your name to file for a hearing for you to obtain the court order to process the QDRO. You must attend the hearing and provide us with the court order resulting from that hearing so we can finalize your QDRO. The fee for the Request for Order is $350.00. You will be referred to your Family Law Attorney to handle the situation back in court. At this point we have drafted your QDRO; obtained all required signatures; and obtained preapproval. We can now file your QDRO with the Court. Our office will assemble the documents with all necessary copies for the court to process your documents. Your estimated wait time is 3-4 months before we receive your certified-stamped QDRO back from court. The wait time is this long as the court processes QDROs in the order received once it makes its way to the Judge’s desk. Congratulations! You are now in the final phase of the QDRO process. We have your certified-stamped QDRO, now what? We wait for the final letter from the Plan Administrator stating the division is completed. We have received your final letter from the Plan Administrator. If you have questions regarding your division you should contact the Plan Administrator handling your matter as it is now in their hands. Thank you for choosing our office to assist you . It was a pleasure working with you. At this time we are closing your file. ← How Much Am I Going To Get From The QDRO?